As the Democrats prepare to take over the House in January, there is much ado about who should be the Speaker of the House. While I’m exceedingly grateful we are kicking Fascist Paul Ryan to the curb, should Nancy Pelosi resume her role as Speaker? In a word, I offer an emphatic YES! I have been deeply troubled, disturbed, saddened, and pissed off at the manifestation yet again of misogyny. Again, it is painfully clear that the United States cannot tolerate a strong, smart, powerful, woman. While I agree with those who want a new guard ushered in, Pelosi has already demonstrated her commitment to succession planning and ensuring that women are being set up to succeed. I also applaud the mindfulness and strategic thinking of leaders like Maxine Waters, who said her efforts are best used as the Chair of the Financial Services Committee. I also applaud Marcia Fudge of Ohio who supported Pelosi and said where her efforts would be best used. Fudge was a name thrown into the bid for Speaker, and frankly, I would love to see her in that position, and again we see strategy and mindfulness at play, as Fudge will be the Chair of the House Administration sub-committee on Elections–fantastic! Please help Georgia and Florida. If we are to dismantle the autocratic/fascist government that 45 has laid the groundwork for, we must be strategic. But we must also resist buying into a misogynistic narrative. Sadly, 32 Democrats voted against Pelosi (one should note that is 11 fewer than the number of Republicans that did not support Ayn Rand– oops, I mean Paul Ryan — for Speaker). Of course, one of those voices against Pelosi was Republican Kurt Schrader of Oregon–oops, I mean Democrat Kurt Schrader; it is exceedingly difficult to see where his loyalties lie. He reminds me of Zell Miller of Georgia, who purported to be a Democrat, but those of us paying attention were not fooled or surprised when he showed up as the keynote at the 2004 Republican National Convention throwing his support for George W. Bush–the good ole days when we thought there could be no one worse than Bush. This mid-term election is sending the most diverse Democratic caucus ever to Washington, largely elected on a progressive, pro-health-care platform. As Speaker, Nancy Pelosi must recognize these facts and continue her commitment to progressive policies and new leadership opportunities for a broader spectrum of Democrats. 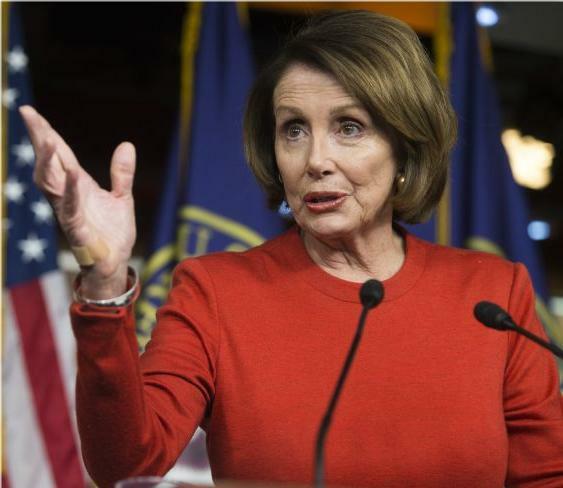 In return, her caucus must recognize her strong, smart leadership; her clear focus and strong voice is one of the reasons that the Democrats flipped more seats than any time since Watergate. 45’s administration demands seasoned opposition leadership, which Pelosi can clearly supply. Over the next two years, let’s groom those who can move into leadership and help advance progressive causes that allow for greater equity for all people in the United States. This week 19 House Democrats put self-interest ahead of leadership and bailed on a key piece of legislation. Last week Senate Majority Leader Harry Reid exceeded all expectations and crafted a brilliant deal that allowed a great tax cut compromise to pass the Senate. The bill extended the cuts for taxpayers making less than $250,000 a year, protecting the middle class during the fragile economic recovery. By ending the cuts for those with higher incomes, it also introduced greater fairness into the tax system–truly a broken clock moment for our Harry Reid. The bill was unlikely to pass in the House, of course, but it sent a strong message. The Republicans in the House shot it down on Wednesday — big shock. Sadly, 19 Democrats voted against the bill, joining the Republican chorus of class warfare. 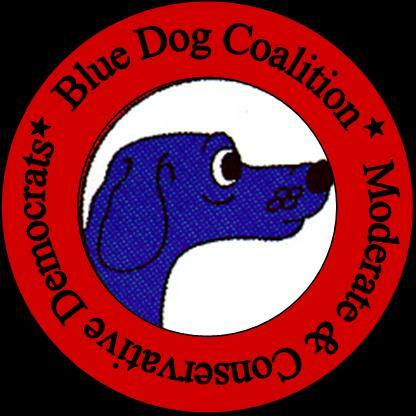 The majority of the 19 Representatives who crossed the aisle were so-called Blue Dog Democrats (or what I like to call Tea Bag Democrats), a loose caucus of “moderate and conservative” Democrats. Many are also in tight re-election contests or in badly gerrymandered new districts. These are not sufficient excuses. It is a given that most Republicans will not vote for the Democrat. It is also true that the Senate approach to the tax cuts is very popular (polling at or above 60%), especially with independent voters and in swing states. What these 19 cowards have done is sold out the middle class and the most vulnerable for a callous political calculation. Why should Democratic voters in their districts care about showing up at the polls if they are offered a choice between two people who vote against them? Why should independent voters prefer a Democrat if that person voted against their preferences? Shame on you, Representatives! Bad dogs! Personally, I am sad to see Rep. Kurt Schrader from Oregon’s 5th District on this list and grateful that the recent redistricting moved me into Rep. Blumenauer’s district. Oregonians are hurting, Rep. Schrader; why did you vote against 98% of them? While brushing my teeth this morning, (lest we forget the dental hygiene ritual as part of the Gay Agenda) I saw a horrific commercial on the television attacking my congressman Kurt Schrader. The spin on reality and the specious arguments being made were enough to make me spit up. I’m left wondering if people really believe this garbage. Crossroads, the conservative anonymous-money giant, also known as Karl Rove’s political action committee, has spent $20 million for a summer attack on Democrats to control the political dialogue in the country. Yes, the spin doctor is at work again. One of those democrats being attacked is Kurt Schrader. While we talk about raising the debt ceiling and about unemployment, social security, and medicare, big money Republicans are spending 20 million to spread lies and instill fear in the hearts of the American people. Does this tactic sound familiar? Remember “The War on Terrorism” and “The Gays Attacking America”? Rove and Cheney helped move the country into a state of Fascism. If you did not support W. and the war in Iraq, you were called unpatriotic. Now we see Rove using the current budget crisis to use fear again. Rather ironic, given the architects of the current budget crisis were those in the George W. administration. Am I the only one that thinks Rove is a complete sociopath? The commercials accuse Democrats of “out of control” spending and refusing to exercise restraint. The reality is that Schrader voted against extending the tax cuts enacted by former-President Bush and he has returned $180,000 in unused funds from his own congressional account. He has also been an outspoken critic of government spending. Exactly how are our elected officials to be responsible stewards of tax dollars when they refuse to increase taxes on corporations and on the top 2% of the richest Americans? There does not seem to be a lot of room for negotiating when Republicans say they refuse to look at increasing taxes and then blame the President for doing what they have instructed him to do. Let us remember that increasing the debt ceiling does not allow for more spending, but it only makes it possible to pay the debts that have already been agreed upon, by both parties, to pay. I hope the American people have grown tired of scapegoating women and the LGBT communities. Please tell me that the absurd lies being told by Crossroads/Karl Rove are not being consumed by the public at large. In posts over the past couple of days we’ve expressed our deep frustration with the quagmire that is the U.S. Congress. Nancy Pelosi has demonstrated some real courage and leadership, but otherwise things have seemed messy and, at times, hopeless. Suddenly, House Democrats are playing Deal/No Deal and standing up to the capitulation games. I’ve always been proud of Oregon’s Democratic Congressional coalition. They stand on principle and vote for real values rather than manufactured (or purchased) ideals. I don’t always agree with them (though I usually do), but I respect them. Pretty weird, huh? Well today I feel even more proud. All four Oregon Democrats in the House stood up strongly against the one-sided non-deal that President Obama handed to the Republicans in the Senate. As mentioned earlier today, Senator Jeff Merkley is mounting a bold campaign to fix Senate debate rules. Although he’s been out of the spotlight, Senator Ron Wyden is a strong supporter of key issues like DADT repeal and tax structures that support the middle class. Please take the time to congratulate your Oregon Congressman for demonstrating that elected leaders can lead.